Get ready to put aside all your calorie counting, appetite suppressing, no-pain-no-gain diets. Cynthia Sass, author of S.A.S.S. Yourself Slim and coauthor of Flat Belly Diet!, introduces the surprising superfood that is the secret to weight loss. 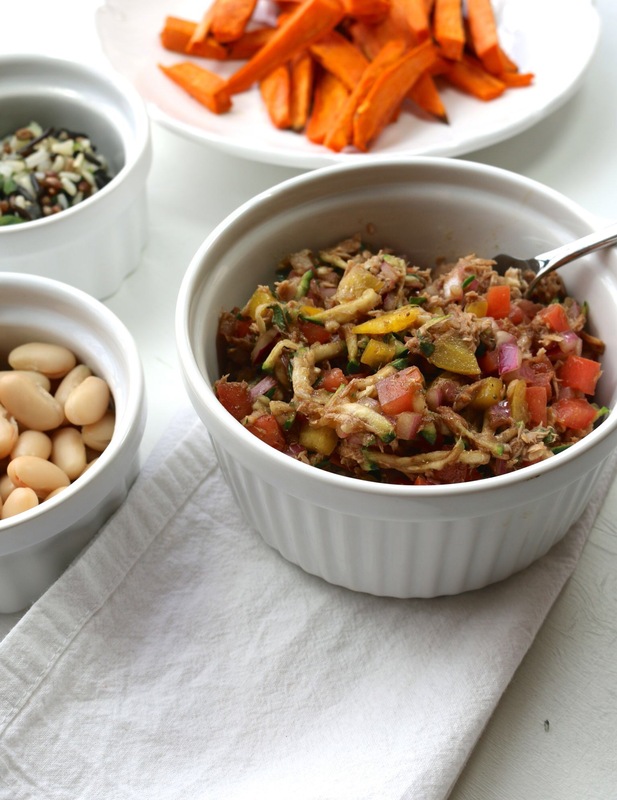 Called “pulses,” this unique class of protein-rich carbs (including filling and satisfying lentils, beans, and chickpeas) actually boosts calorie- and fat-burning, whittles away belly fat, prevents snack attacks, and creates long-lasting energy. Plus, they’re gluten free, readily available, and affordable! 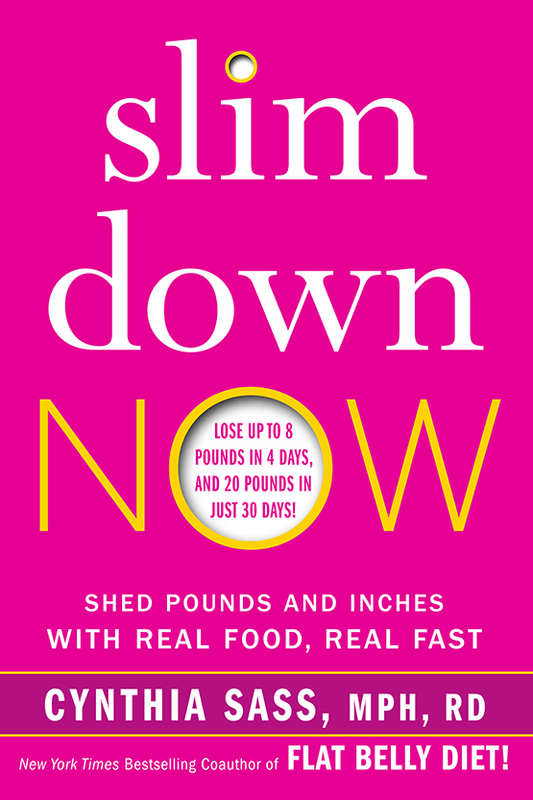 In Slim Down Now, Cynthia Sass reveals the scientifically demonstrated power of pulses, which she has incorporated into a dynamic, flexible weight-loss plan that focuses on how these supershredders can ultimately transform your body. The 30-day challenge asks you to put aside your usual weight-loss methods and adopt an entirely new approach to food, health, and weight management. You start with the four-day Rapid Pulse, where you make one simple recipe (a pudding!) daily for four days . . . but in those four days, you’ll lose up to 8 pounds! Then, you move on to the Daily Pulse, a 26-day program where you include one serving of pulse each day. Sass’s plan includes a simple DIY meal-building strategy you’ll love, as well as delicious, deprivation-free recipes, including a savory veggie quiche, garlicky shrimp scampi, and even oven-roasted potatoes. In fact, there is an entire chapter on desserts, including mouth-watering brownie bites and mini pumpkin spice muffins. The meal plan includes grocery lists and restaurant options and can be followed by gluten-free eaters, vegans, vegetarians, and omnivores alike. In addition to this new approach to eating, Sass reveals that less exercise rather than more can actually be the key to successful weight loss. Forget feeling pressure to spend hours on an elliptical or at exhausting boot camp classes. With this program, exercise becomes a more organic part of your day, rather than that nagging item on your to-do list. Bonus: you’ll also learn a simple five-minute technique that will boost your mood and overall happiness. Sound too good to be true? We promise it’s not. Get started today, and see the pounds melt away. Cynthia Sass, MPH, RD, is a registered dietitian, the sports nutrition consultant to the New York Rangers and New York Yankees, and the nutritionist behind and coauthor of Flat Belly Diet! as well as the author of the New York Times bestseller S.A.S.S. Yourself Slim, among other books. She is the contributing nutrition editor at Health magazine and appears regularly on national television programs including The Today Show, Nightline, and The Doctors. In a sealable container, whisk together the olive oil, vinegar, lemon juice, basil, garlic, celery seed, and black pepper. Add the tuna, tomato, onion, bell pepper, and zucchini, seal the container, and gently shake it to coat everything. Refrigerate the salad for at least 30 minutes before serving. What an interesting blog you have! Thanks for sharing!